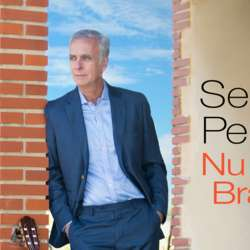 Guitarist/composer/arranger, SERGIO PEREIRA presents his latest album "Nu Brasil" release by ZOHO Music of New York City. His guitar is soft yet intricate, full of so many flavours that instantly transport you to the Southern hemisphere. ​"...Pereira's compositions and arrangements lean toward the impressionistic, resulting in a sound that envelops you with warmth, vivaciousness and a miraculous gift of seduction..." (The Vinyl Anachronist Jazz Review). An evening of elegant music which will take place at SedaJazz, an inviting Alqueria.